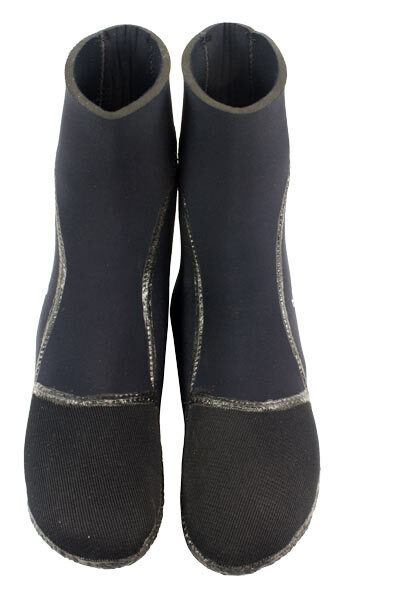 Rock Socks by MAKO Spearguns have soles made of Kevlar. That’s right! KEVLAR SOLES! I guarantee no other freedive socks are more durable than the MAKO Spearguns Rock Socks. And guess what…They are made from 100% Genuine Yamamoto Neoprene. So, you get the most durable socks in the world and the most comfortable and the warmest socks ever made. 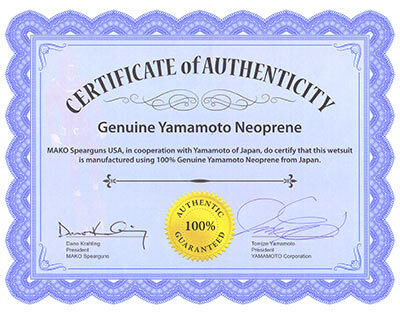 This is another example of MAKO quality at an amazing price. 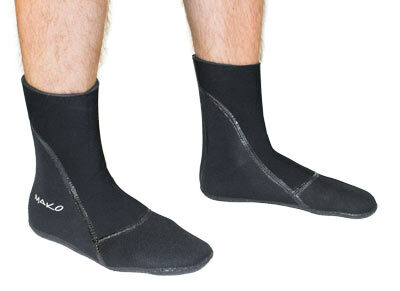 What other freedive socks have Kevlar soles and made with 100% genuine Yamamoto neoprene? Because a sock with these features, sold at a dive shop would cost around $70.00 per pair. But, because MAKO sells direct to divers (no dive shop markup), we can offer the highest quality products for a lot less than dive shop prices. These are the most durable freedive socks ever made! All seams are glued, stitched AND welded to make a water tight seal and prevent unraveling of stitching from the high wear areas that contact the fin pocket. NOTE: These Kevlar Soled socks do add a ½ size to your foot size. If your foot pockets are a bit loose when you wear non Kevlar sole socks, then your foot pockets will fit perfectly with the Kevlar sole socks. If your foot pockets fit perfectly when you wear non Kevlar Sole socks, then your foot pockets will be too tight with the Kevlar sole socks. great for walks on rocky surface before going from shore, great antislip on boats too! stretchy, good fit, durable. I am on the size cusp, but a small stretches comfortably over my size 8 feet. I will order a medium when these wear out (if they ever do) and see if they still fit snug. I have been using kevlar sole socks for years. These are reasonably priced and exactly what I needed. Saved at least a couple wounds from the little urchins in the rocks in Bonaire! They don't make walking on sharp rocks comfortable, however, they do keep them from cutting the feet! Good fit, well constructed. As always, great service and quick shipping from Mako!